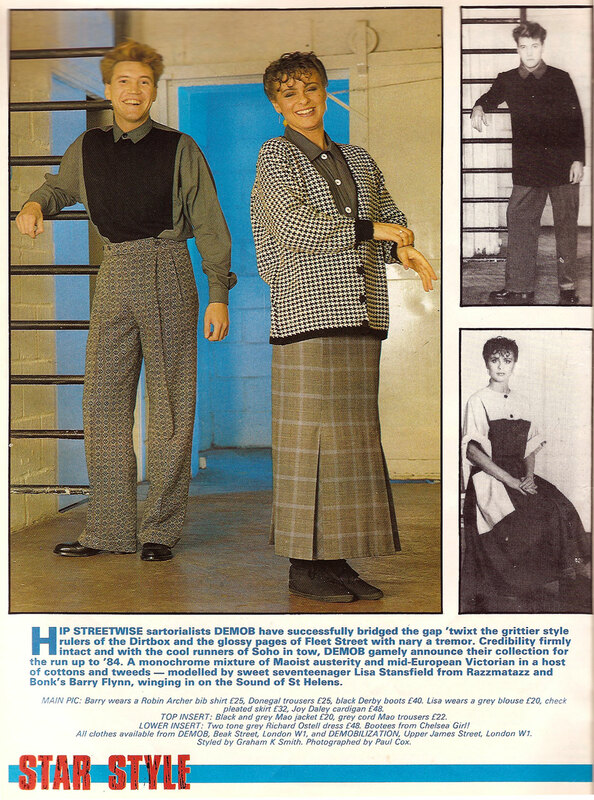 Star Style was a fashion feature which ran for about a year in Record Mirror circa 1983. This shot features long time (1993 – 2008) Dalkey resident, Lisa Stansfield, aged 17 years. She had yet to achieve success with her singing career but at this stage was co-hosting kids TV programme, Razzmatazz. Weird colour snap. Just one week after this photo was published, the trend for men to wear their shirts outside their trousers began.